A Premier Access Health Insurance Company review determined that there is a whole network of PPO or Participating Provider Organizations under this name. Premier Access Health Insurance has been around since 1998 and offers flexible plans for self-insuring businesses and individuals who may need discount health, dental, and vision services. This company may also be affiliated with Premier Access Quality Dental Plans as well. To compare online health insurance quotes, enter your zip code in the search tool here to be directed to providers in your area. Many businesses are no longer offering the security of group health insurance coverage as they did in the past. Health insurance is an expense that some small and medium-sized businesses cannot afford. It just so happens that many of the businesses cropping up today are small to medium-sized. Premier Access Health Insurance Company is located in Sacramento, CA, and if they are affiliated with Premier Access Quality Dental Plans, they have a separate network in Texas. The Texas Premier Access location has been in existence since 1998 as well. 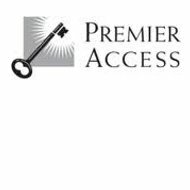 Premier Access of Texas is a private company that services health care organizations, insurance companies, and self-insurance groups. They operate very much like an HMO or health maintenance organization. They help businesses find ways to save money while offering their services as part of the Premier Access PPO network of providers. This business does not manage providers in so much as they establish agreements with these providers to accept discounted rates as a member of the network. These providers quote their own benefits and plans, and have the option of discontinuing their affiliation at any time. Premier Access health management does however make provider retention a part of their list of priorities. This business also offers creative and flexible options to help manage expenses. Premier Access Health maintenance organization works with partners such as Musketeer, TriZetto, and Claimsnet to help your business file claims efficiently, manage your company’s benefits package, and create new technical solutions. This business provides resources to meet the benchmarks and goals you establish in a collaborative effort with your Premier Access representative. They are also affiliated with SIIA, which is the Self Insurance Institute of America and the National Association of Health Underwriters and other organizations beneficial to managing health care costs. Premier Access Health Insurance Company of California is a government subsidized program to assist the uninsured and underinsured. The dental plans are intended for those who do not have access to dental providers in their area. The program is income based and members pay a maximum copayment of $5 if they fall under income category A for instance. The Premier Access Health Insurance Company’s medical government program is similar, and is also located in Sacramento, CA. If your children do not qualify for the Medi Cal program, which is the no-cost program, they can qualify for the Healthy Families Program. Premier Access Quality Dental Plans is a California organization for those who can afford to pay PPO dental services. These services are discounted for businesses and individuals with a network of 10,000 dental providers just in California. As a PPO, you have the flexibility of choosing your own providers in or out of network. This company will broker with any organization to provide discount services to include government managed plans such as the Healthy Families Program and the Geographical Managed Care plan. They work in conjunction with the state of California and other states to provide discount dental services through its nationally expanded network. Brokers who work with Premier Access Quality Dental have the option of managing their account base on the company website. These plans are offered through Anthem Blue Cross and Blue Shield and Alameda Alliance, Cal Optima, Santa Clara Family Health, Kaiser Permanente and others. Most require the use of a primary care physician who will give you referrals to see specialists as needed. Depending on your choice of plans, you may even have the choice of optional services like chiropractic and acupuncture services. You can get online health insurance quotes today by simply entering your zip code now to get started! I purchased a health insurance plan with you at the first of the month was not satisfied so I cancelled a few days later. I was lied to on several occasions the representative said they would refund me my full amount of 289.90 I received my cancelled checks today the 24th of September and my refund was not on there.